Secretary of the Air Force Heather Wilson visited Luke Air Force Base, Ariz., Aug. 24, 2018, to familiarize herself with the F-35A training mission of the 56th Fighter Wing and meet with Airmen around the base. Wilson’s visit gave Luke’s Thunderbolts both an opportunity share the work they put into their mission to train the world’s greatest fighter pilots and combat-ready Airmen, and to learn Wilson’s vision for progress and continued development in the Air Force. “We have to have readiness in our force and job number one is people,” Wilson said. Wilson met with wing leadership to learn about Luke’s functions and capabilities, before visiting key facilities including the F-35 Academic Training Center and the 63rd Fighter Squadron. 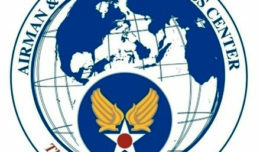 Secretary of the Air Force, Heather Wilson, receives a mission brief from Brig. 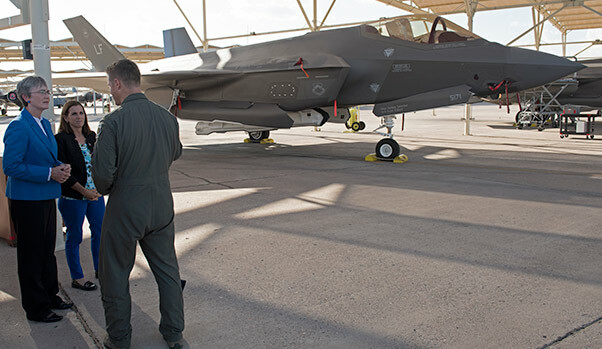 Gen. Todd Canterbury, 56th Fighter Wing commander Aug. 24, 2018, at Luke Air Force Base, Ariz. Wilson visited the base to meet with Thunderbolts and familiarize herself with the wing’s F-35A training mission. Her visit also included a Town Hall during which she spoke about her priorities to enhance innovation in both technology and work processes, save money by maximizing utility and efficiency, and encourage superior leadership development at the squadron level. 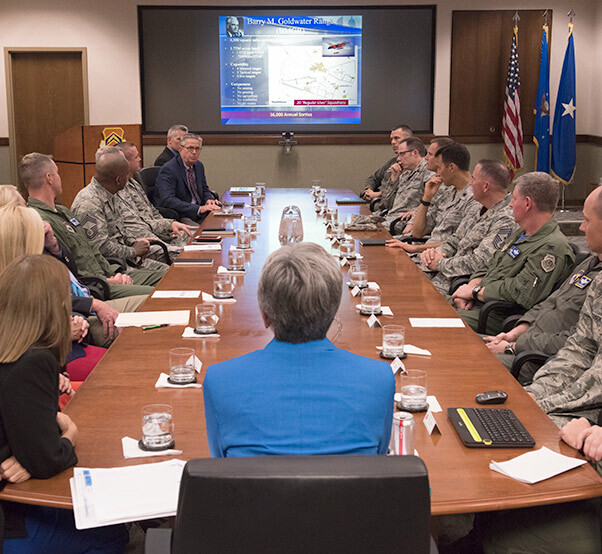 Secretary of the Air Force, Heather Wilson, receives a mission brief from 56th Fighter Wing leadership Aug. 24, 2018, at Luke Air Force Base, Ariz. Wilson was accompanied on her visit by Congresswomen Debbie Lesko, Martha McSally and Kyrsten Synema. The end of the Town Hall saw Wilson opening the floor to questions, where she talked about specific career developments and the efforts of her leadership team to improve morale and readiness as well as total force cohesiveness. Wilson believes that innovations like those found at Luke in the Lightning Integrated Technician experiment will be the key to continue to uphold the U.S. Air Force’s tactical and strategic superiority, while adherence to the Air Force core values will uphold the superior discipline and effectiveness of its Airmen. 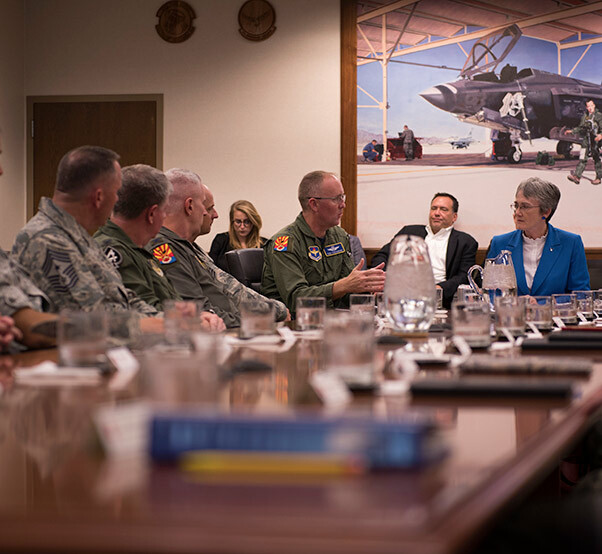 Secretary of the Air Force, Heather Wilson, receives a mission brief from 56th Fighter Wing leadership Aug. 24, 2018, at Luke Air Force Base, Ariz. This was Wilson’s first visit to Luke since becoming Secretary of the Air Force in February 2017. 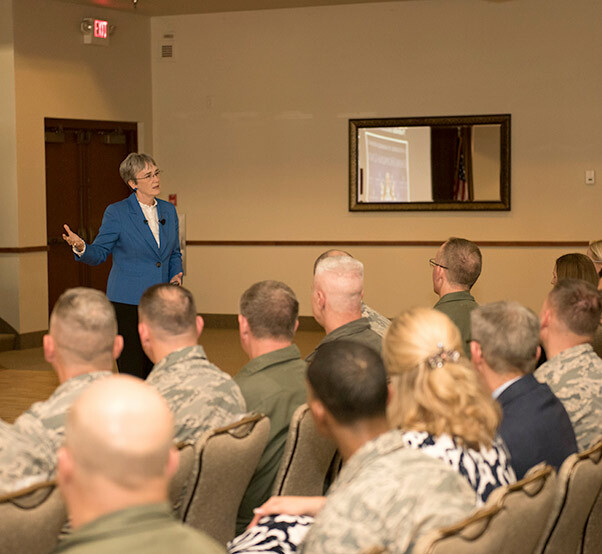 Secretary of the Air Force Heather Wilson provides remarks during a Town Hall for base personnel, Aug. 24, 2018, at Luke Air Force Base, Ariz. Wilson provided updates on several Air Force initiatives including innovation and revitalizing the squadron. 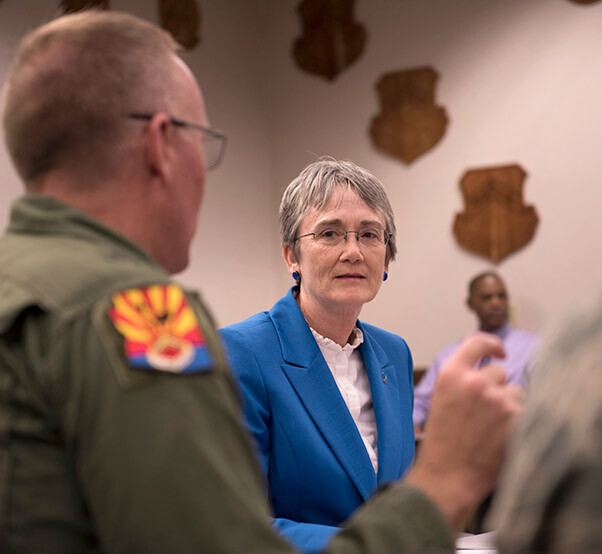 Secretary of the Air Force Heather Wilson provides remarks during a Town Hall for base personnel, Aug. 24, 2018, at Luke Air Force Base, Ariz. Wilson invited members of the audience to ask questions following her update on Air Force initiatives. 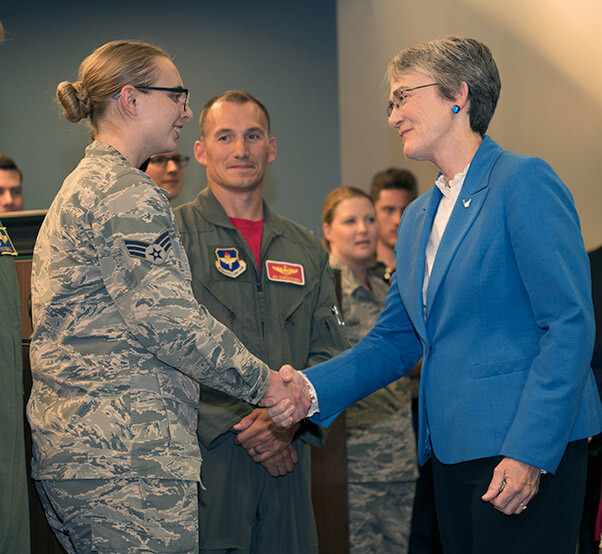 Secretary of the Air Force Heather Wilson coins an Airman of the 56th Fighter Wing, Aug. 24, 2018, at Luke Air Force Base, Ariz. During her visit to the base, Wilson met with and coined numerous Airmen from various units for their work and accomplishments. 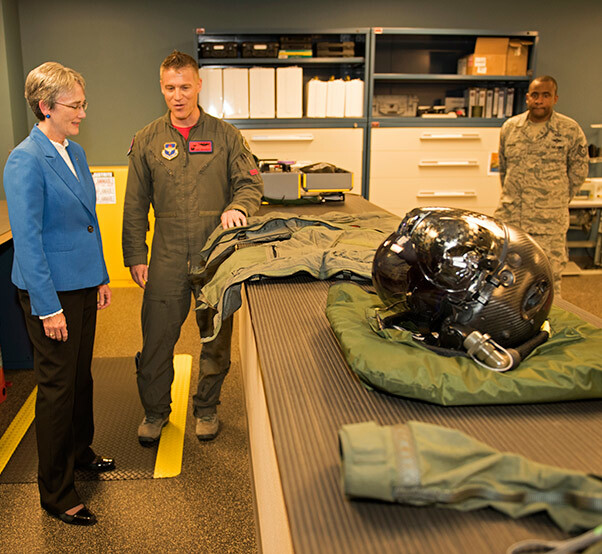 Secretary of the Air Force Heather Wilson receives a brief from Lt. Col. Curtis Dougherty, 63rd Fighter Squadron commander, about flight crew equipment and gear for F-35A Lightning II pilots Aug. 24, 2018, at Luke Air Force Base, Ariz. The 56th Fighter Wing currently trains American and partner nation F-35A pilots in three squadrons, with three additional squadrons planned for the coming years. Secretary of the Air Force Heather Wilson speaks to Lt. Col. Curtis Dougherty, 63rd Fighter Squadron commander, about the capabilities of the F-35A Lightning II Aug. 24, 2018, at Luke Air Force Base, Ariz. The 56th Fighter Wing is the largest F-35A wing in the world.